"Amazing Foundation for oily skin and combination skin. Embrace the Foundation of your Makeup"
People with oily skin always find it difficult to get a perfect product to use upon their face. It becomes even difficult as they fear skin damages because their skin naturally produces oils and this can be a hectic process of selecting the right product. You should never be stressed if you have oily skin as we now have the solution of offering the best foundation for oily skin. This is a highly rated product that will effectively work to offer you the best feeling and ensuring that you are able to appreciate your looks at all times since it does not have any side effects. On the other hand, this is not a foundation for everyone with oily skin, I think this product might be for people which have skin types that are over producing oil. The best foundation gives you a new look and ensure that your skin looks younger, MATT, soft and tender at all times. When you discover the best foundation that fits your skin type, you will definitely walk with confidence and with your head held high, a product that offers you a perfect balance eliminating the fear that your oily skin is making the makeup slide of within minutes. Never underestimate your looks, always go for quality products as we will discuss in this article and you will always look your best, come rain or hail. Chanel Mat Lumiere is/was a product that has faced some positive as well as negative remarks. This product is well packaged in a light weight bottle and it is easy to carry as it can even fit in a small porch. The product faced negative remarks (by Few) as users stated that it does not offer the soft natural looks it claims to have. This led to debates about it being discontinued. It has different colors and you are always allowed to select one that perfectly matches with your skin. PERSONAL NOTE: This was my personal favorite foundation, it fitted my skin type perfectly, so LIKE MANY I was floored when they changed this product to something completely different. Another great product that offers one of the best foundation covers for oily skin. It has been well designed and has powerful ingredients that works wonders to your skin making you attain the looks you in so much admire every day. As a user of this product, I have seen a lot of improvement to my skin. It only takes a short time to witness the results and this comes as a perfect way of looking elegant. BUT it does not beat the Chanel Mat Lumiere, which was the BEST for my skin. This is also good, but not great. And the price for a semi good coverage seems ludicrous. 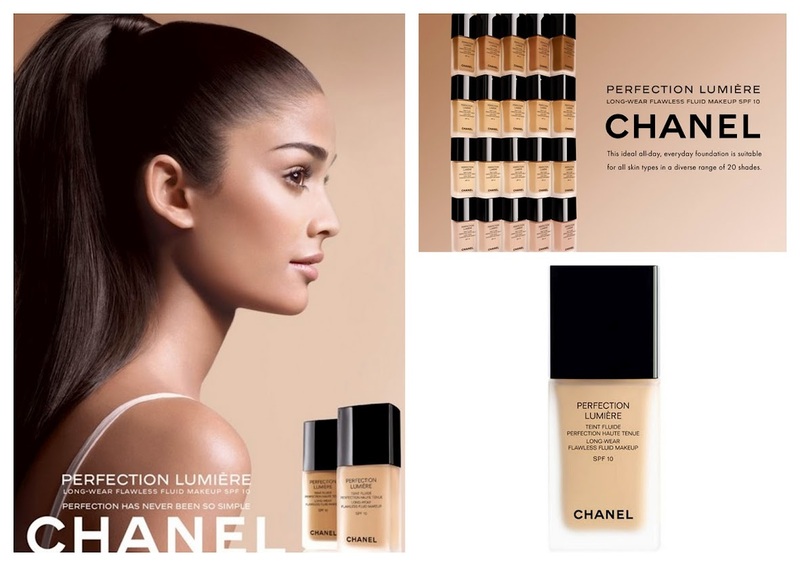 The New Channel Perfection Lumiere is easy to apply and has the perfect seamless blends to offer a natural flawless effect. Perfection Lumiere also protects the skin and give it the best nourishing touch without leaving it shiny. It is not only for oils skins, but one that can be used with all skin types. It is regarded as being good and has been dermatologist tested. Never sit back and believe that you can't achieve a smoother, tender and a matt looking skin surface because of your skin type. But there are also a lot of drug store products for oily skin, even some that might beat the high end makeup collections, but that depends upon your skin type. Why Oily Skin is a TREASURE to Have !! The woman was asking about getting a face peel again, it sounded like she really liked those peeling, and thought they gave the best result. The doctor on the other hand, sounded like he wanted her to stop getting them, and he tried to explain about the skin to her, so that she would understand that her skin also offers its own protection, but she was too into her own thought that they worked wonders. He actually tried to explain to her that having oily skin was also a good thing, in the fact that it reduced wrinkles for the longest amount of time... But she was not listening... But my ears were locked in and ready to consume his information. Did you know that the more oily skin you have, the lesser wrinkles you get???? YES! Off course when you think about it, it makes perfectly sense, right? The oil in your skin actually keeps you facial expression more elastic, hereby creating lesser of the finer lines through time. The more you dry up your skin, the more lines will automatically begin to appear in the long run, because your facial expression does not have the oils to keep your skin elastic. So I recommend that you keep the treatment of draining all the oily from your skin, to a minimal, just my suggestion.